Ozark Trail 8-Person Tent $50 Shipped (Reg. 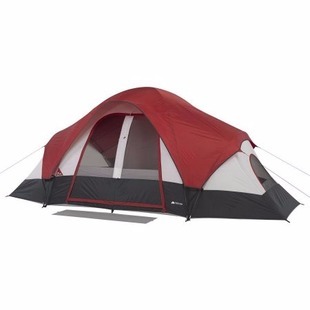 Get this Ozark Trail 8-Person Dome Tent (in red/gray only) for $49.95 with free two-day shipping at Walmart.com. This tent measures 16′ x 8′ with 115 square feet of room. It comes with a removable center divider to create two rooms.